When my style started to sway from retro basketball to retro trainers, Saucony was the first brand I jumped on. With great silhouettes, premium quality and awesome price points, it’s stayed a personal favourite and on February 23rd I attended my first Saucony event for the Rocky Mountain Ambition Pack (event recap here). During the event I had numerous conversations with Tyler from Saucony, but when we spoke about the Freedom Pack (which had just made its way to the interwebs), I couldn’t help but get excited. 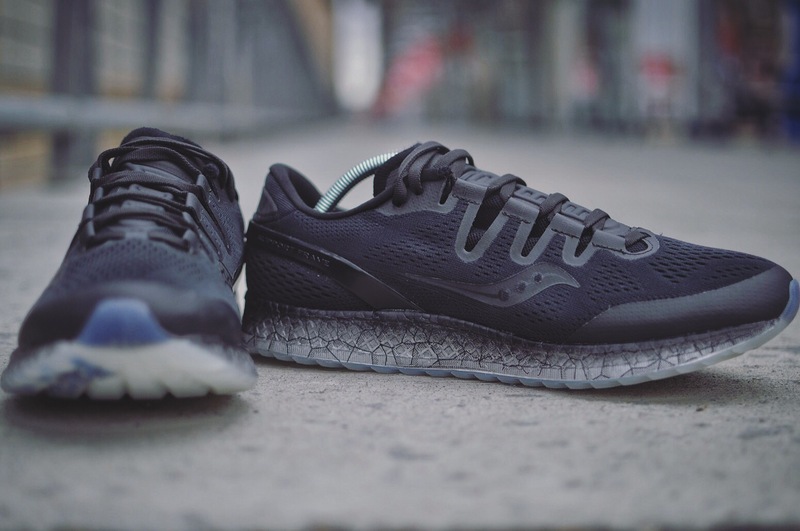 The past, the present and the future of Sauconys Freedom line and the introduction of the first full length EVERUN midsole on the ISO. My excitement and intrigue grew when a few days later (could be a week or 2 my sense of time is terrible) @sauconysneaks (follow!) gave a review of the Freedom Runner through Instagram stories and described them as “my most comfortable pair”. 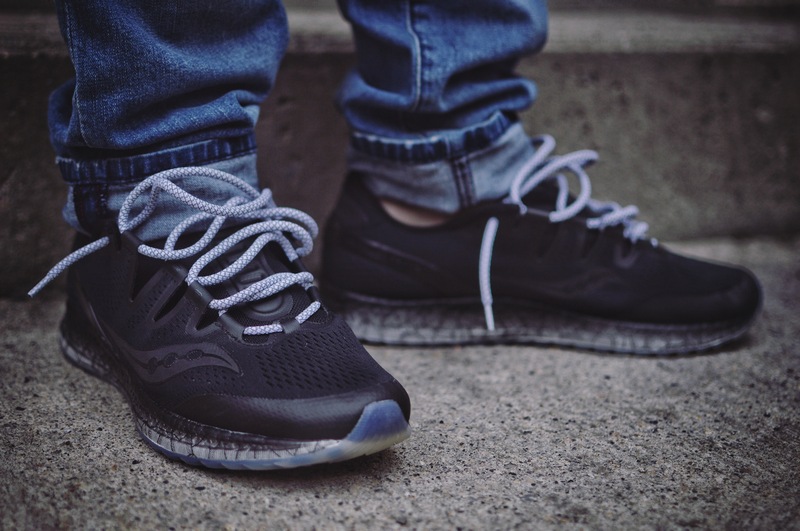 So when I came home to find a delivery from Saucony Canada, I couldn’t wait to tear that box open, and there they were… dressed in black, the Freedom ISO. I’m going to be straight up and get this out of the way, this is a running shoe and I’m not a runner. I don’t know as much about the tech side as a runner would, I’m not going to hit you with heel to toe ratios or how many ounces the shoe weighs, but I do know about comfort and style, and this pair has both. EVERUN. I’m just going to leave that here and get back to it, that is some tech you’re going to want to get familiar with. 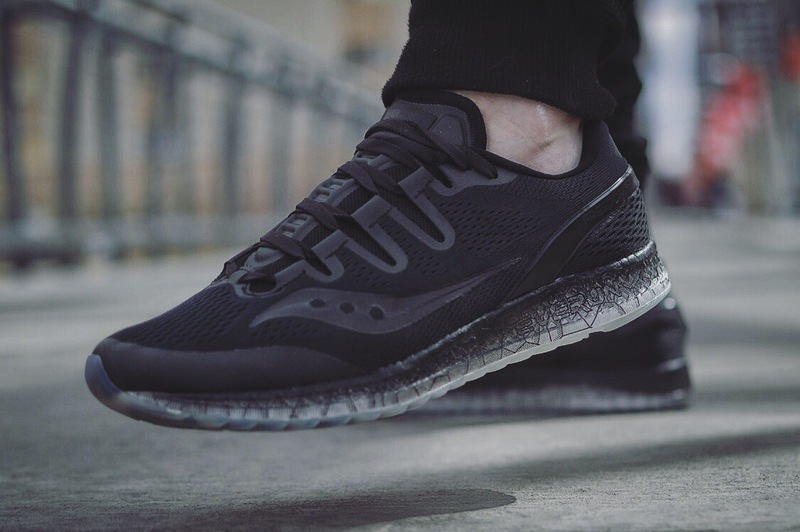 Black on black with 3M hits on the Saucony branding toe and heel, a reinforced toe, a snug, breathable stretch mesh ISOFIT upper, and with a tongue that disappears into the fit of the sleek silhouette, bootie-like for a perfect fit. 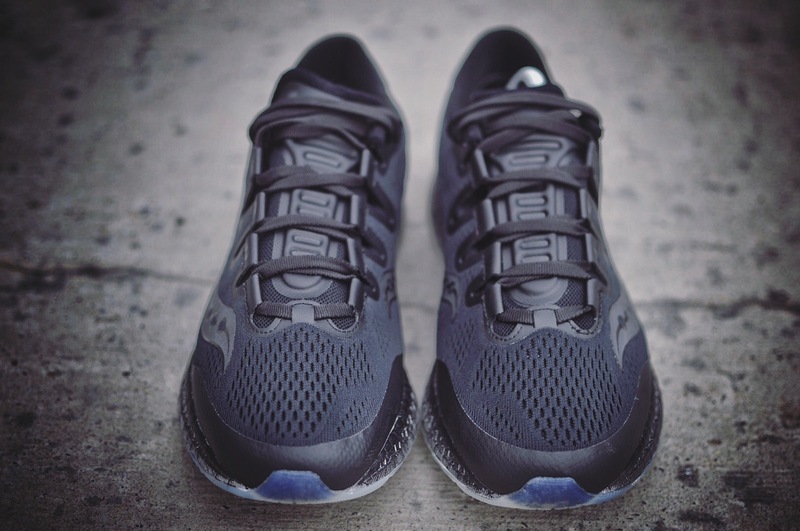 Now back to what I consider the best and most important part of the pair… the midsole, EVERUN. EVERUN is what makes this shoe special. What is EVERUN? It is a TPU foam. What is that? 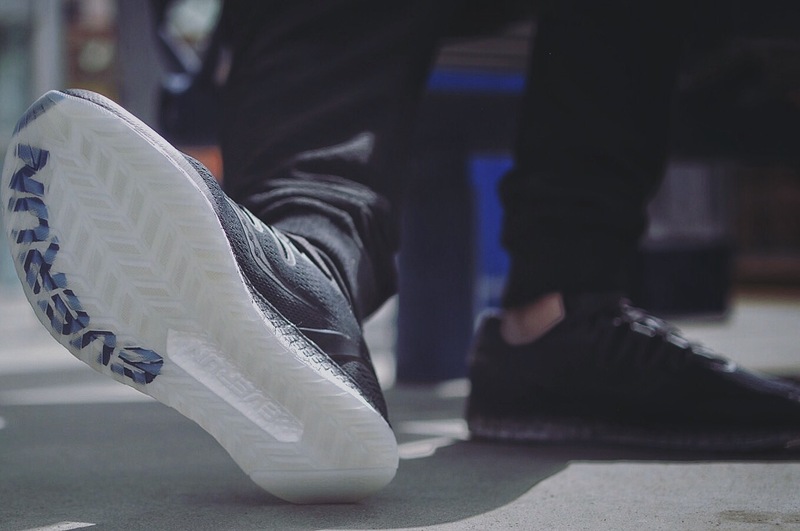 It’s the most responsive foam in the game, that same foam another brand uses that rides like clouds. EVERUN is Sauconys jump into the market that has been cornered by someone else, a market they had to themselves, but not anymore. 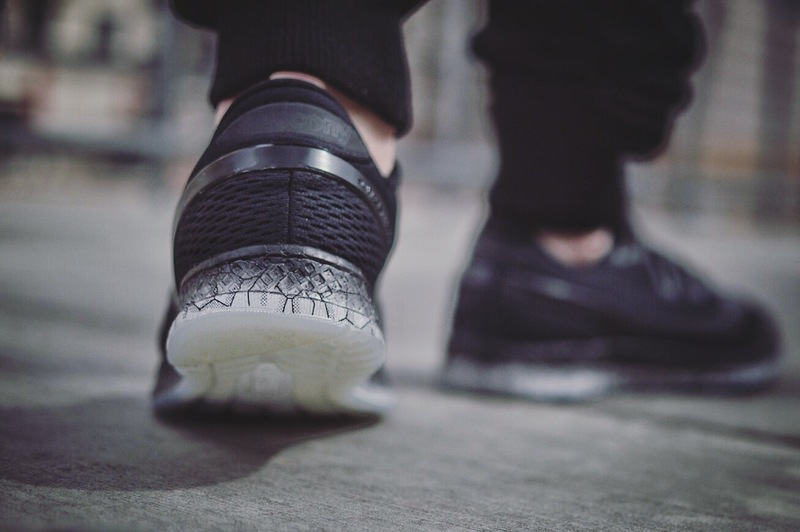 Giving you 83% energy return, the only thing that could make the EVERUN midsole better would be for it to have a EVERUN topsole, which it does! 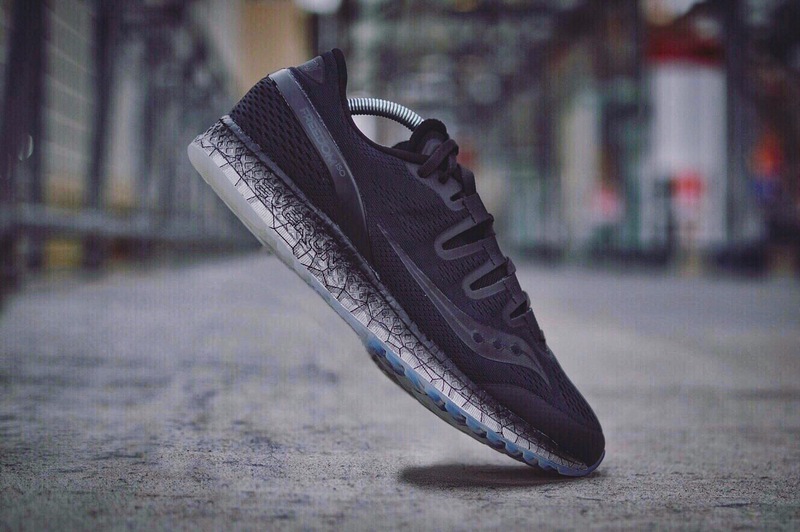 Another layer of the durable cushioning is placed directly under the insole, and its a beautiful addition which all together sits on a clear one piece Tri-flex crystal rubber outsole. After seeing this foam on the retro Freedom Runner and experiencing it on the tech side with the ISO, I’m very excited to see what else the people at Saucony have instore for this game changing technology, that being said premium tech brings premium pricing and this model is $199.99 on Saucony.ca now, I suggest going a half size up. 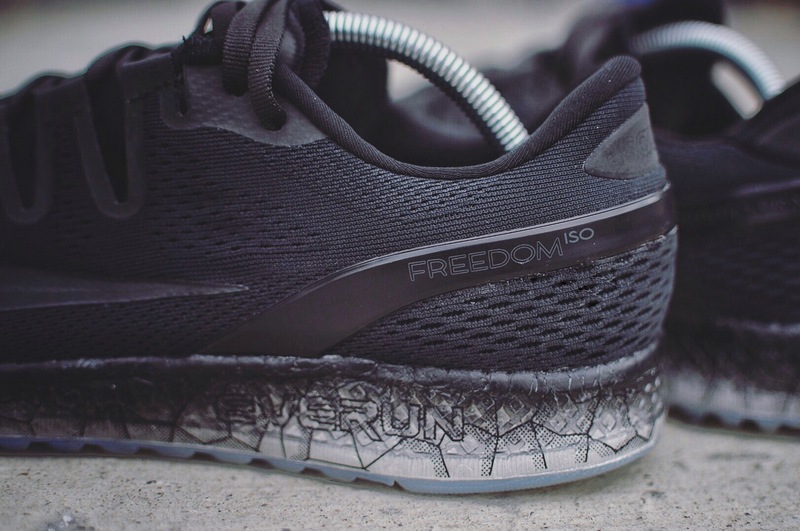 I’ve been hearing Saucony has some big things planned for the Freedom line and EVERUN tech this year so my only suggestion is: Don’t sleep. Huge thank you to Tyler and the team at Saucony for this pair, they will get extreme wear.